Purchase the best NY Yankees Game Tickets from Ticket Brokers Vivid Seats which include NY Giants Tickets, New York Mets Tickets, Knicks NBA Tickets, Rangers Hockey Tickets, Islanders Tickets, Jersey Boys Tickets, , Madison Square Garden Event Tickets New Jersey NBA Nets Tickets and Devils NHL Games . Find New York Yankees tickets and other hot MLB tickets at CTC! We carry Cardinals baseball tickets, Red Sox tickets in Boston, Detroit Tigers tickets, Dodgers tickets and World Series tickets as well as New York Giants tickets and hot show tickets, including Coldplay concert tickets, Conan O'Brien tickets, NY theater tickets and Broadway show tickets. I am, of course, using "perfect game" in Pavano terms - I'd consider 6 innings and 4 ER to be pretty damn perfect from him. how about 5 innings and 3 runs? does that work for you? From a baseball perspective I am happy to see him come back. As for the people who complain about him coming back to just to sign a contract well no team in the league is going to sign this guy to a huge/fat contract so you won't have to worry about that. He'll get something like Prior got for this year, one that is laced with incentives. Pavano got the win and well that's all the Yanks wanted from him, for him to eat some innings and keep them in the game. Just weird seeing him pitch. It's going to be interesting to see what kind of a deal CP is going to get. Certainly it will be no where near the last one... anyone who takes him will be taking a big risk. If he wants to try again with the Yankees, I can imagine a very cheap deal for one year. 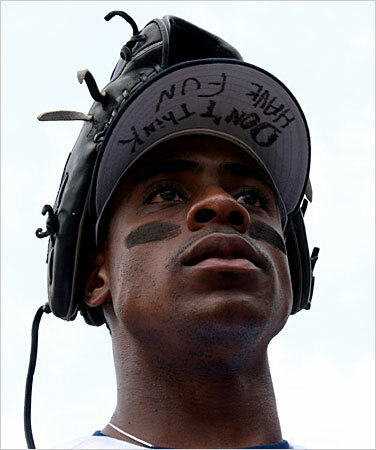 In 2009 Curtis Granderson published a book: All You Can Be: Dream It, Draw It, Become It! Granderson "shares the lessons that he learned growing up--the importance of family and choosing the right friends, the power of listening and staying positive, and most important, the value of being yourself." Interleague Play: Love it or Leave it? Which Former Yank Free Agent Would You Most Like to See in Pinstripes in 2010? ANOTHER Steal of a Deal! About Me: Just your average 26 year old Yankees lovin' gal from the SD. Contact me to add your blog!